How do you effectively create, promote and track a new digital campaign for a major marketing activity that, until recently, had been promoted exclusively through traditional marketing and sales channels while being executed and tracked entirely by hand? 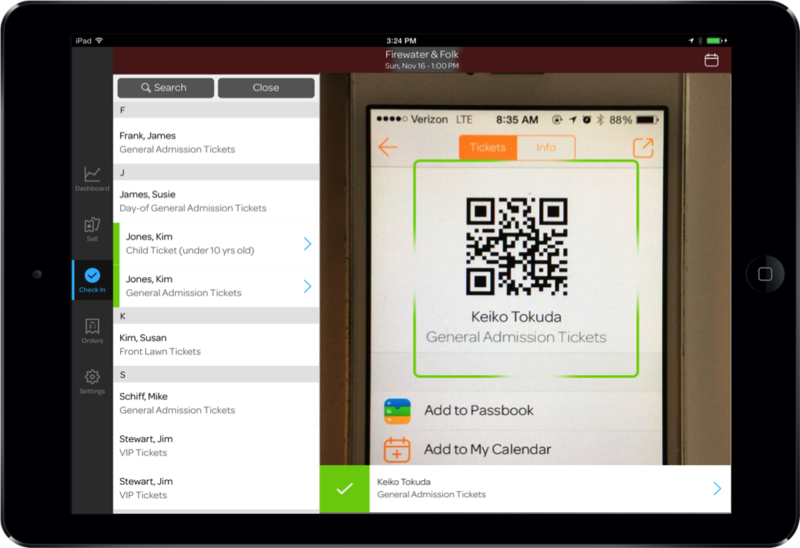 How do you create a ticketing and registration system that minimizes the amount of manual labor needed while maximizing the registrant’s experience and the detail in the company’s follow-up process? And how do you do so while breaking every major event results record out there? These were the challenges and goals presented to our marketing team when working with ORR Protection Systems on their 2016 Seminar Series. Ultimately, we were able to work in tandem with their internal marketing department to address and overcome each one with the help of the event management platform, Eventbrite and its integration with the company’s marketing automation system, HubSpot. Since 1971, ORR Protection has grown to be the nation’s largest privately owned safety and fire protection company in the country. 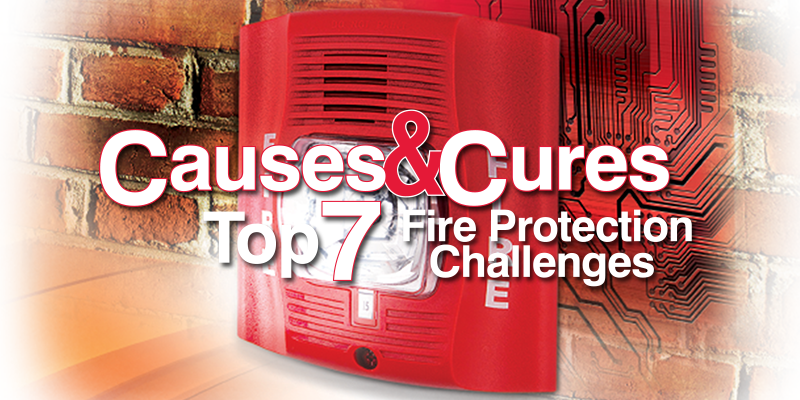 Some of the largest and most successful companies in the world trust ORR to protect their mission critical business processes from failure due to fire. In fact, over 65% of the Fortune 100 companies use ORR. 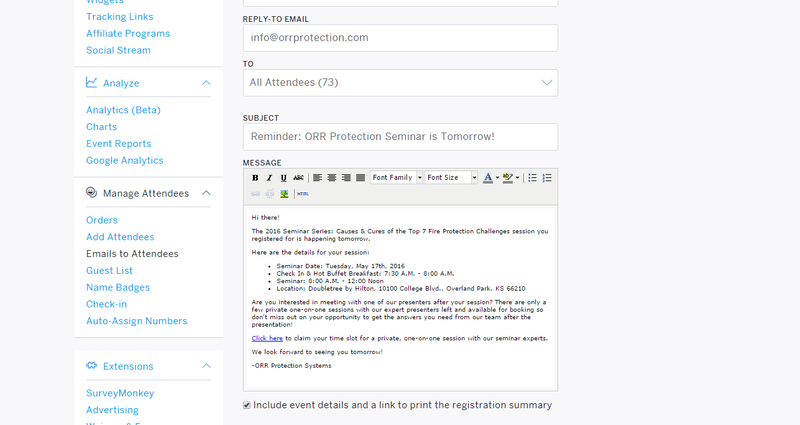 ORR Protection Systems’ annual seminar series is the single biggest marketing action the company puts on every year. Focused on educating those within the industry, the free series spends over a quarter of the year traveling across the nation, attracting a large amount of attention from leaders across the industry. In 2014, ORR's internal team introduced digital marketing into the promotional strategy for this already successful series, proving to be a key driver in the initial increase of overall attendance and interaction. Since that time though, growth for registration and attendance has plateaued, with disjointed cross-channel promotion and technology elements playing a key role. With a well-established and respected seminar series that was older than the company’s digital presence and inbound strategy, our campaign faced a number of unique challenges. We were faced with interjecting online elements to major areas of the promotion, registration, and check-in process that were once done manually - all while improving registration, attendance and no-show numbers compared to the last 2 seminar years. The ORR Seminar Series has been a focal point of our campaign efforts for several years. We worked hard to modernize their efforts, inject digital tactics, and blend in the best technologies available. The results speak for themselves. 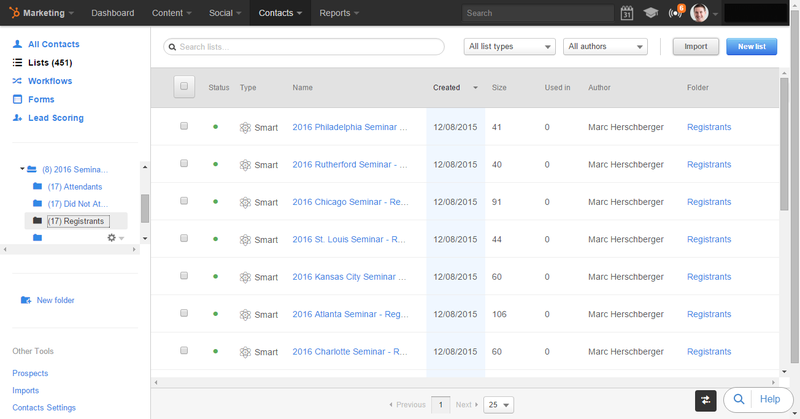 After a large amount of research and discussion, we landed on the use of Eventbrite as our registration system of choice for the 2016 seminar series due to its integration with HubSpot, easy to use and customizable platform and powerful tracking and analytics capabilities on the backend. With our platforms selected, it was time to work with ORR's internal marketing team to establish a seriously cool and detailed strategy meant to automate seminar processes and drive end results for the company. Months before any promotion happened or a single registrant came in, our team spent the necessary time creating the foundational elements needed to properly integrate the platforms that would make this campaign a success. Starting with Eventbrite, we created and optimized an account for ORR before then starting the long process of building out the portal for our needs. We knew that we needed to establish a registration page design that would mimic the company’s branding while setting up the backend in a way that allowed us to collect and sort as much data as possible. 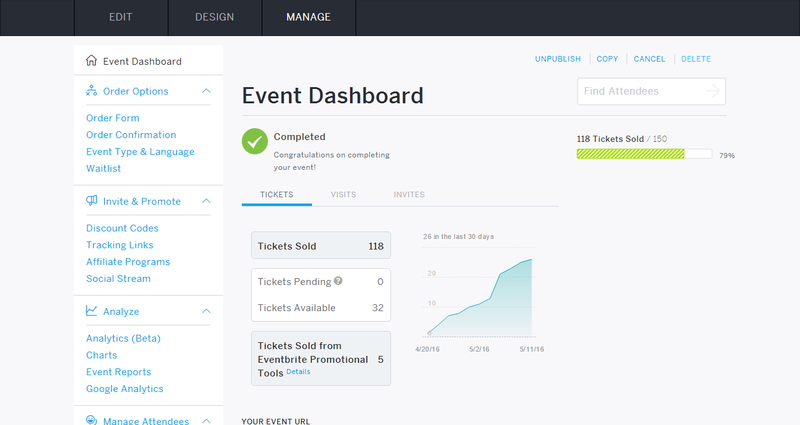 With that in mind, we utilized Eventbrite’s custom header/footer functionality to establish a design and layout that matched the website’s color scheme. 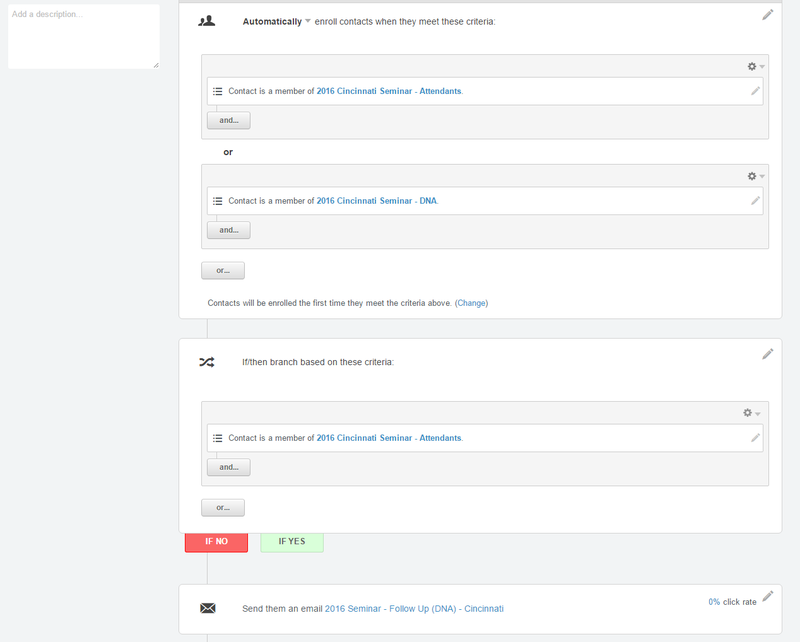 When it came to building out the backend for data collection and reporting, we spent time creating custom registration form fields that collected job role, industry, marketing, attribution and interest information and built multiple tracking links within Eventbrite connecting the various marketing channels we would use. By the time we had completed the registration page buildout ORR had a beautiful, smart system that would collect and segment everything needed to analyze our results at the end. Once our work in Eventbrite was complete and integrated with HubSpot, both teams' focus turned to establish the necessary promotion and follow-up elements in our marketing automation system. To help promote the entire seminar series in one centralized location, a splash page was created in HubSpot that explained what the series was, along with when (and where) people could register. The new page included custom Eventbrite tracking links to each city-specific registration page and would be updated throughout the series to reflect its progress. Custom HubSpot tracking links were created for the splash page and connected to the various traditional marketing platforms that would be used to promote the series including non-HubSpot email sends, direct mail sends and sales rep contacts. 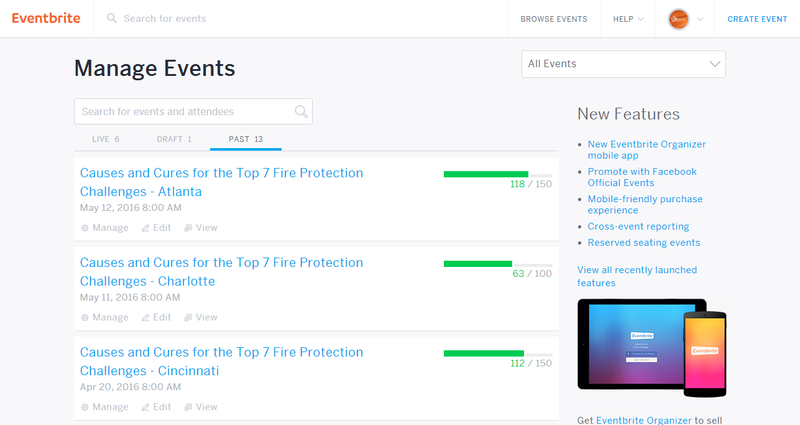 To keep track of all contacts registering through the Eventbrite registration process, our teams worked to create seminar-wide and city-specific HubSpot lists that tracked registrants, attendees and no-shows so that we could segment all registrants for better follow-up and promotion for future seminars. 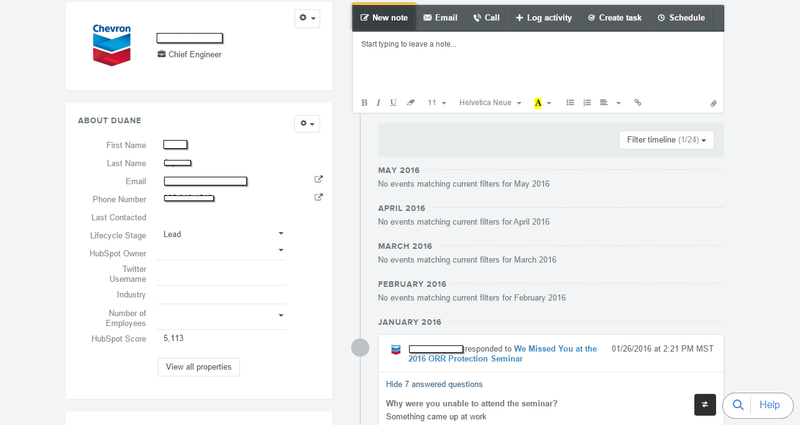 For follow-up, custom workflows and content were created that would send different city-specific registrants emails depending on their attendance (more on this below). To connect everything, a HubSpot campaign was created and attached to every element listed above, allowing our teams to properly track all of our marketing actions in one place. Onsite promotion using home page banners and CTAs on different service pages that sent visitors to the HubSpot splash page. Promotional blogs connecting the seminar topics to the target persona’s goals and challenges, sending readers to the HubSpot splash page via blog CTAs. Organic and paid social media promotion across Facebook, Twitter and LinkedIn utilizing custom HubSpot tracking links back to the splash page and custom Eventbrite tracking links back to city-specific pages. Email marketing utilizing segmented lists of pre-registrants, past seminar attendees, and past seminar registrants to both promote the entire seminar as well as geographically targeted, city-specific seminars. 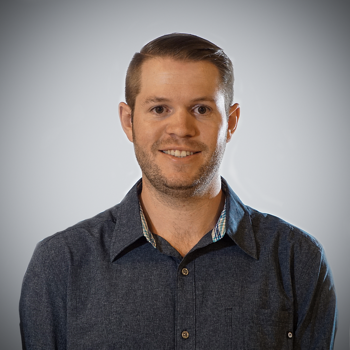 Traditional promotion strategies including direct mailers with custom HubSpot tracking links and custom PDF document sends directly from ORR sales reps, also utilizing custom tracking links. At-a-glance reporting of major registration page numbers like page views, registrations, tickets remaining, tracking attribution and more. User-friendly registration process that collected the necessary information while allowing people to register entire parties in one check-out transaction. Easy to search and segment lists of current registrants in both Eventbrite and HubSpot. Through post-seminar surveys conducted by ORR's internal marketing team over the last few years, we knew that their seminars faced the unique challenge of registrants forgetting about their seminar dates after initially registering. In order to avoid this issue, multiple emails were created inside of Eventbrite that allowed ORR to automate the reminder process while also giving registrants the option to add the date and time to their calendars (Outlook, Gmail or iCalendar) to help improve overall attendance. Noted as one of the most manual and time-consuming aspects of the seminar process in years past, we focused a large majority of our research making sure that we had a solution that could automate nearly all of the check-in process moving forward. In years past, checking in attendees meant printing out sheets, searching for names, double-checking information and manually penciling in at-the-door registrants by hand all before then manually typing out a final list of attendees. This list would then be sent to the marketing department for review, database updates and follow-up. All told, the check-in process took around an hour and the data transfer took up to a week depending on the schedules of everyone involved. Using Eventbrite’s Organizer application for Apple iPad and iPhone devices, we were able to take what once was a long, tedious and paper-driven check-in process and turn it into a simple swipe of a finger that not only checks the attendee in but automatically syncs with both Eventbrite’s and HubSpot’s records. Attendees were checked in within seconds, at-the-door registrants had access to a separate tablet to register on, and all event information was ready for ORR's marketing department to use before the last attendee took his seat. Outside of the check-in process, Eventbrite made it very easy for the seminar team to quickly export a list of registrants for the creation of seminar name badges, helping to maintain the event's professional atmosphere that had been built up over the last decade. While a majority of time and energy went into the creation of the foundational and promotional elements of the campaign, the follow-up with these registrants was by far one of the most important business elements in the entire seminar series. Without it, ORR would only be left with leads who verbally expressed interest in their services while at the seminars (a fraction of the registrant population), leaving a large number of prospects on the table. Our teams' automated follow-up process looked to avoid that. Once a city-specific seminar was completed, all registrants would be entered into a pre-established nurturing workflow that would divide the enrollees into those who attended the seminar and those who were “no-shows” using a simple if/then function. Those who attended the seminar would receive a thank you email letting them know that they would receive their seminar certifications in the mail within the next few weeks while also pushing them to a resources page where free seminar ebook downloads were available. Other resources would be shared in emails scheduled for later that looked to push the contact further down the funnel until they were ready for sales contact. Registrants who did not attend the seminar were sent an email expressing ORR's regret in missing them while offering incentives (keychain flashlights, USB thumb drives, etc.) in exchange for completing a short survey built out by ORR's marketing team. This survey, held in Survey Monkey and integrated with the HubSpot portal, collected answers to questions about why the person missed the seminar and if the marketing team could have done a better job at any point reminding them of the date, time and location of the event. Other resources would be shared in emails scheduled for later that pushed the contact further down the funnel until they were ready for sales contact. With so many new processes and platforms in place this seminar year and with goals for improving major KPI’s, our teams knew that tracking all areas of the seminar series was crucial to showing the success of a highly digital, highly automated campaign to ORR's leadership board. With that in mind, we looked to create an all-encompassing tracking and reporting document that did just that. Promotion – which promotional strategies yielded the best results? Which ones provided the best ROI? Registration – how many registration page views did we receive compared to actual registrations? How did these compare to years past? Attendance – how many actually attended? How did these compare to years past? No-Shows – how many people registered but didn’t attend? How did these compare to years past? Demographics – what job titles were most common among registrants, attendees and no-shows? What industries? Interests & Attribution – what topics were registrants, attendees and no-shows most interested in? How did they hear about the seminar? Who invited them? After 3 months of campaign set-up and preparation and nearly 6 months of ongoing promotion and seminar execution, the 2016 series wrapped up at the end of May, leaving our teams with a fully completed reporting document and a pair of event management and marketing automation platforms who deserved a drink! 12% year over year increase in registrants to over 1,000 industry professionals, the largest number in seminar history. 56% of all registrants came from email and social media marketing efforts. 3.5% year over year increase in attendees to over 600 industry professionals, the largest number in seminar history. 52% of all attendees came from email and social media marketing efforts. Over 160 qualified leads generated, the largest number in seminar history. Due to the length of ORR Protection's sales cycle, we do not yet have customer generation numbers, but using historic conversion rates, the 2016 Seminar Series is projected to drive the largest amount of customers and revenue from any seminar series in ORR's storied history! Is your team interested in taking your company's event to the next level? Are you looking for a custom, integrated solution to your marketing problems? Reach out to Revenue River either here or by clicking the image below and let's discuss your specific needs and how our team can work with yours to drive results that burn through records! 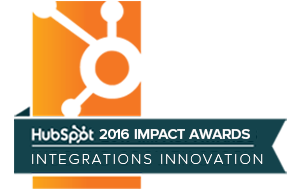 Engage our team to help you tackle your software integration challenge. 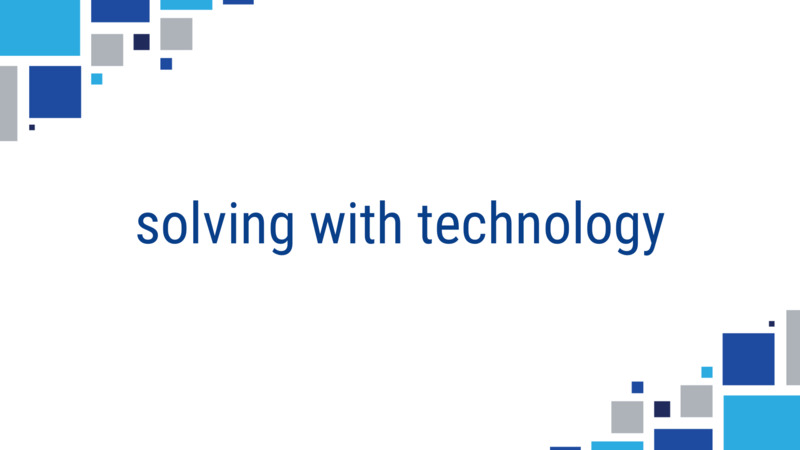 See how Revenue River builds connected technology stacks.